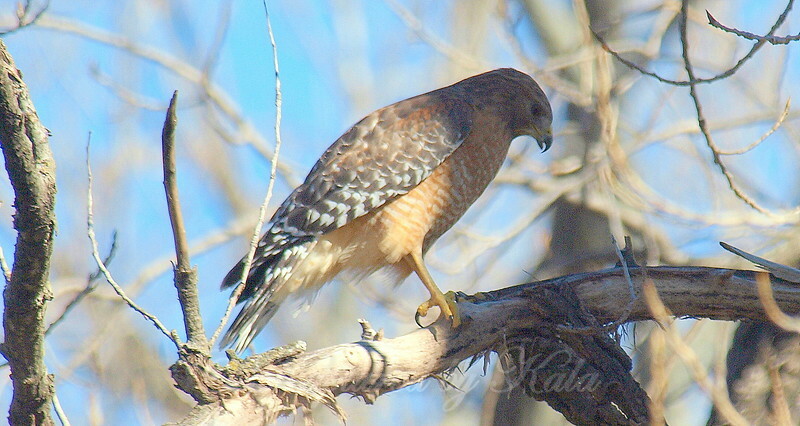 I ran into a red-shouldered hawk along a tree line. He is the male of a pair I am familiar with (he is the smaller one). It is nest building time & he was out looking for nesting material.